If you were already considering trading in your car to a dealer, why not let Car Buyers Online do the hard work. We’ll get prices from the best dealers in town that specialise in on-selling your vehicle. Thanks to over 30 years experience in the motor industry. We’ll travel practically anywhere for the right car and we regularly pick up vehicles 500km from Greater Brisbane. In fact, Newcastle to Cairns, we’ll find you a buyer for your car. This really is the easiest way to sell your car and get a fair price. We have multiple locations and we can offer vehicle inspections and valuations in-person at a location that suits you, whether that means coming to us or coming to you. We’ll happily attend your residential or commercial premises, inspect the vehicle/s and get you an offer on the spot. It really takes the stress out of your selling your car. For an obligation free indication of your car’s worth please complete our online enquiry form* and a member from our team will contact you directly by email or phone with a more accurate valuation. *The enquiry form will give you an indication only. However, our team will get you a real offer on the vehicle in person. Buying and selling a vehicle is a competitive industry and as such vehicle valuations can vary widely. We at Car Buyers Online understand that you want the most cash for your car possible. As the market leaders purchasing all vehicle types, we have an in-depth knowledge of the local market and we’re confident we can get an offer you’ll be happy with. It’s what we do. 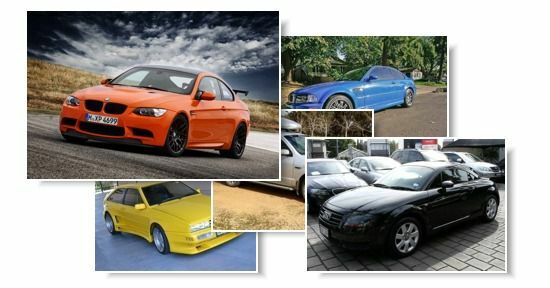 We buy ALL types of vehicles, nothing too expensive – we have a great network of buyers for late model and prestige cars.